Our Full Coverage gallery is up – look for excellent shots from me and Sandy Canetti of Hudson Valley Sports Images. Our Highlights are up too! 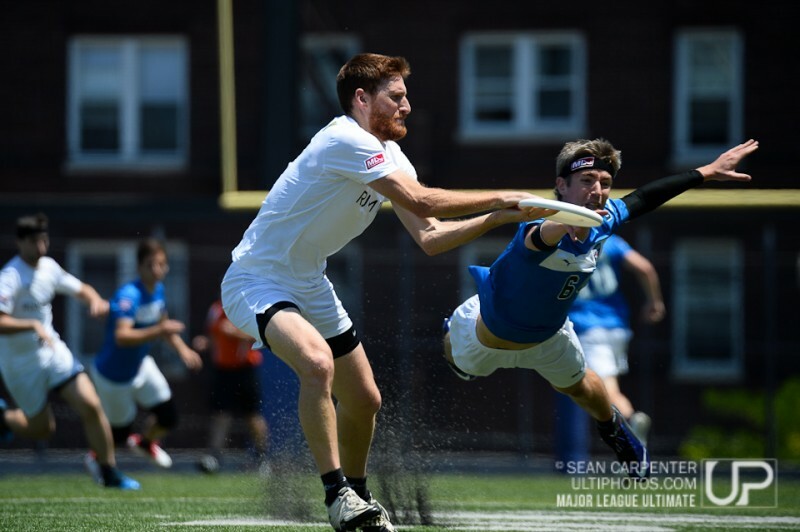 Union City, NJ: Michael Hennessy (New York Rumble #4) makes a catch as Frederik Brasz (Philadelphia Spinners #64) defends at the Major League Ultimate game between the New York Rumble and Philadelphia Spinners, Sunday May 8 2014.